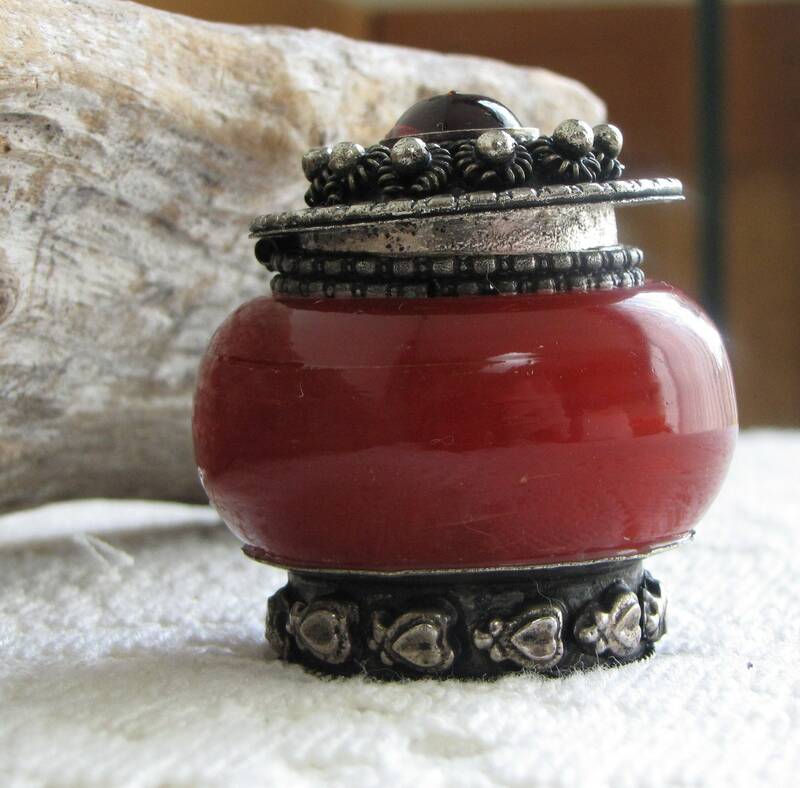 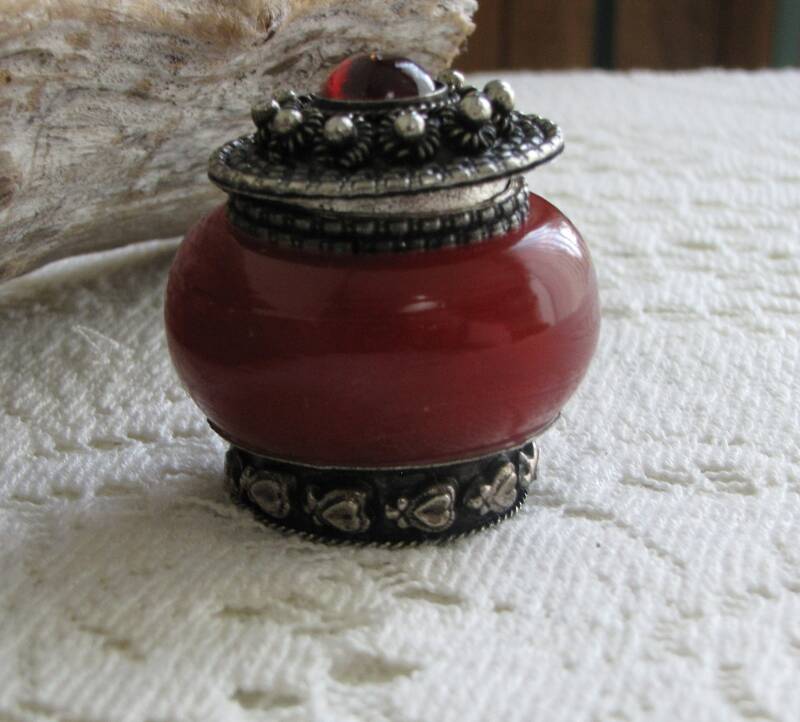 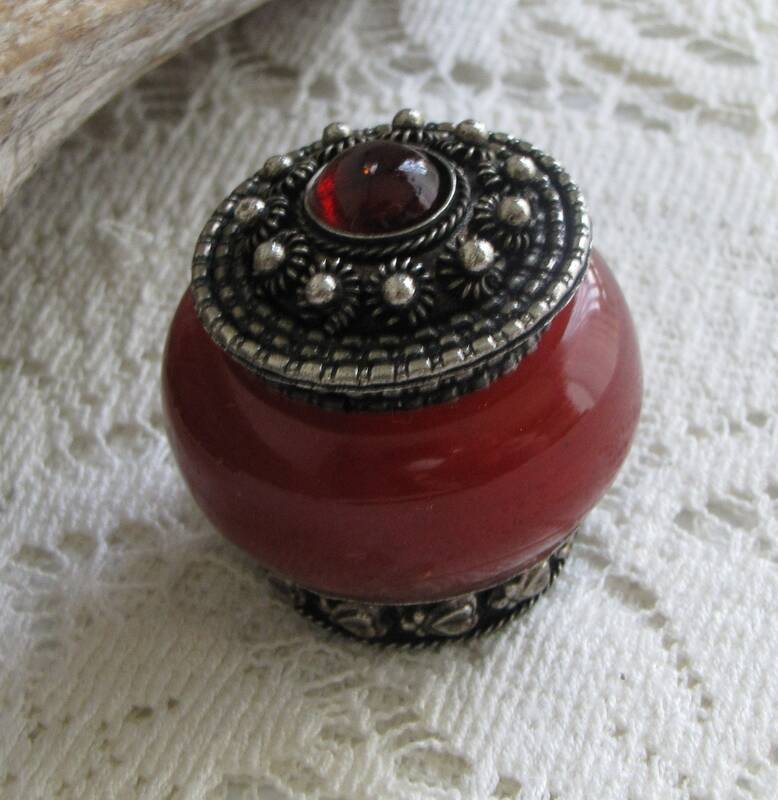 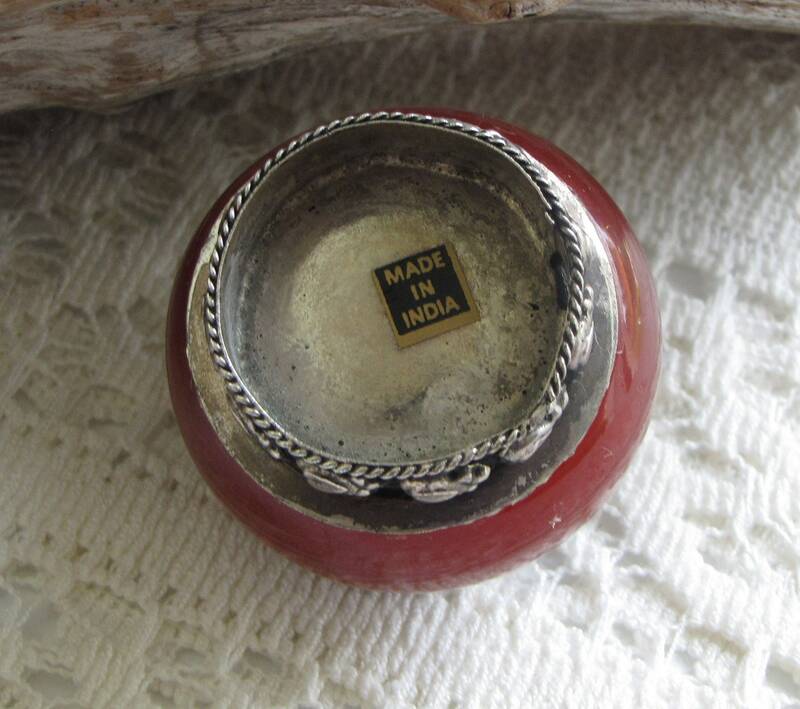 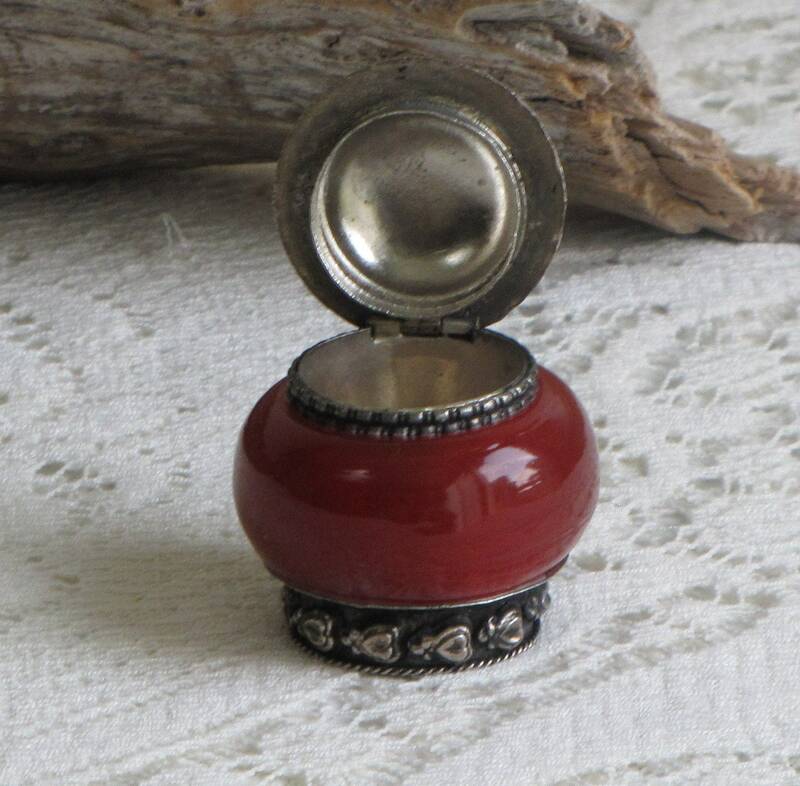 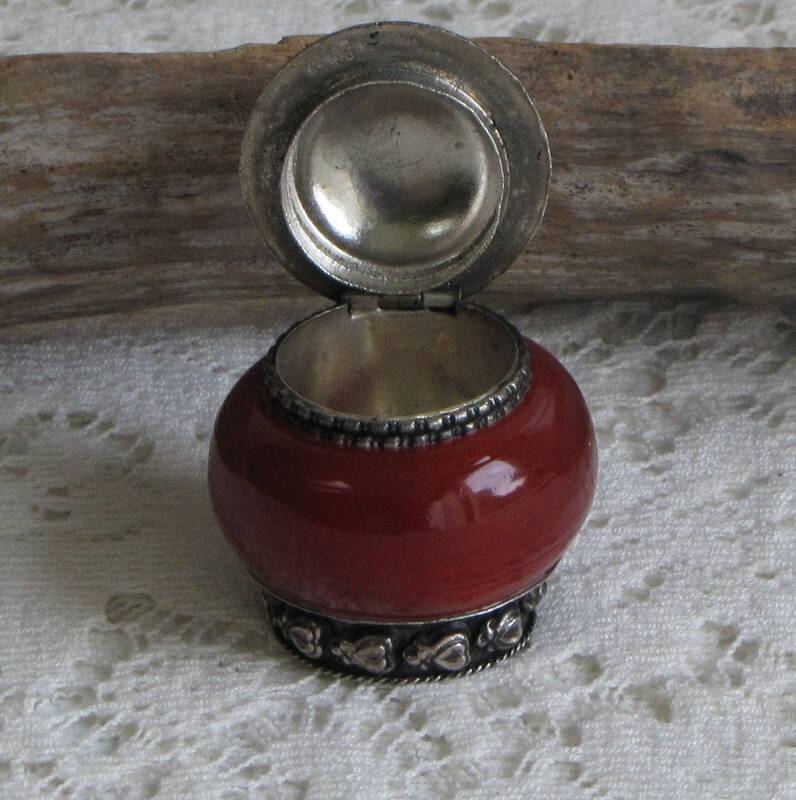 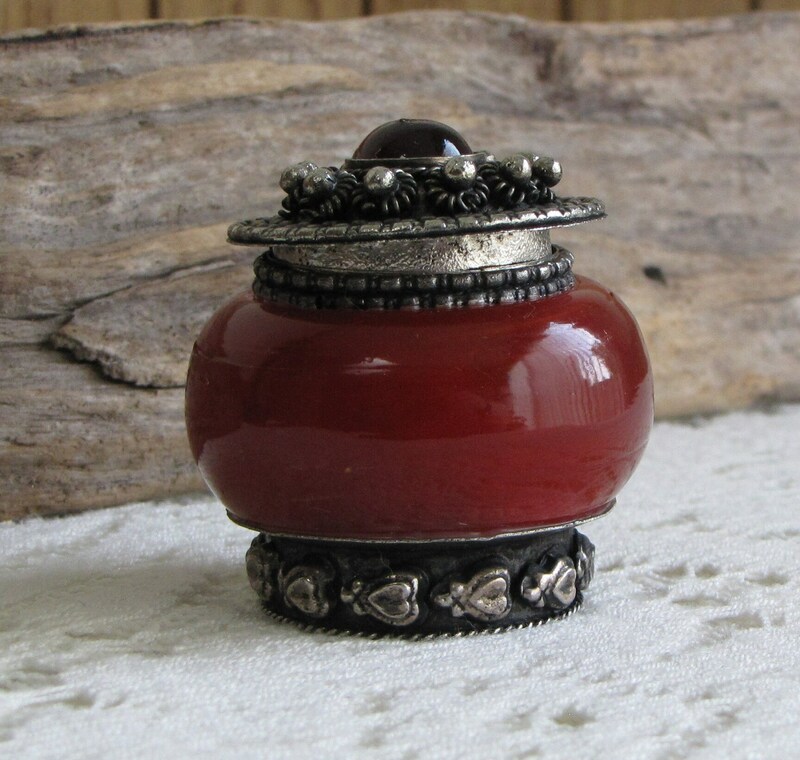 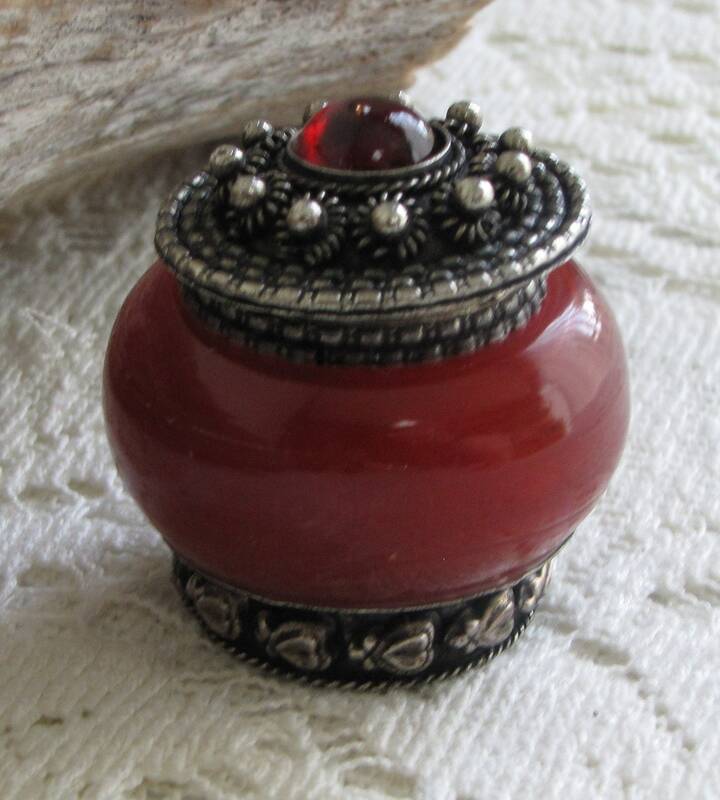 A lovely red glass and silver trinket box made in India. 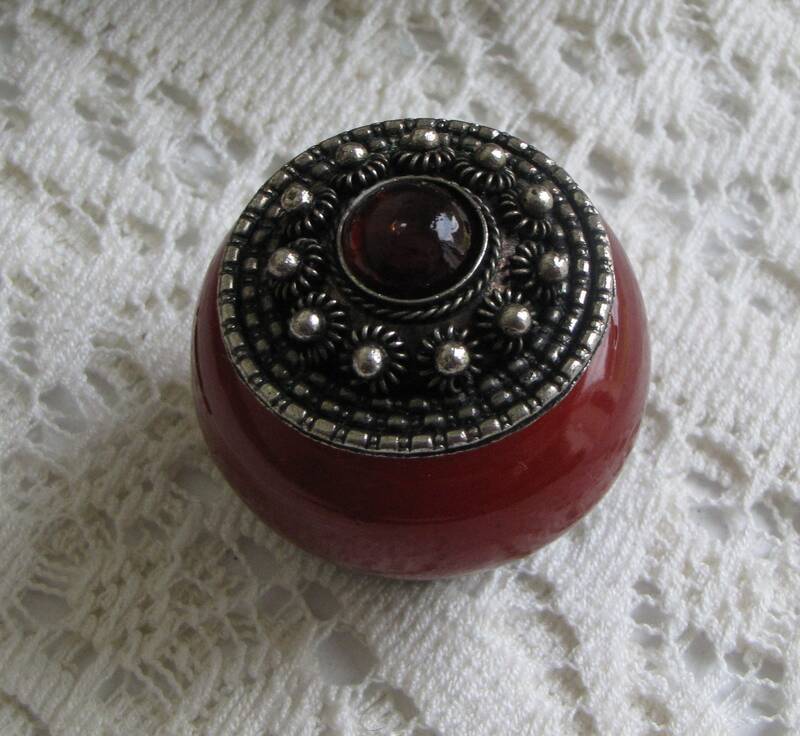 The box is in very good vintage condition. 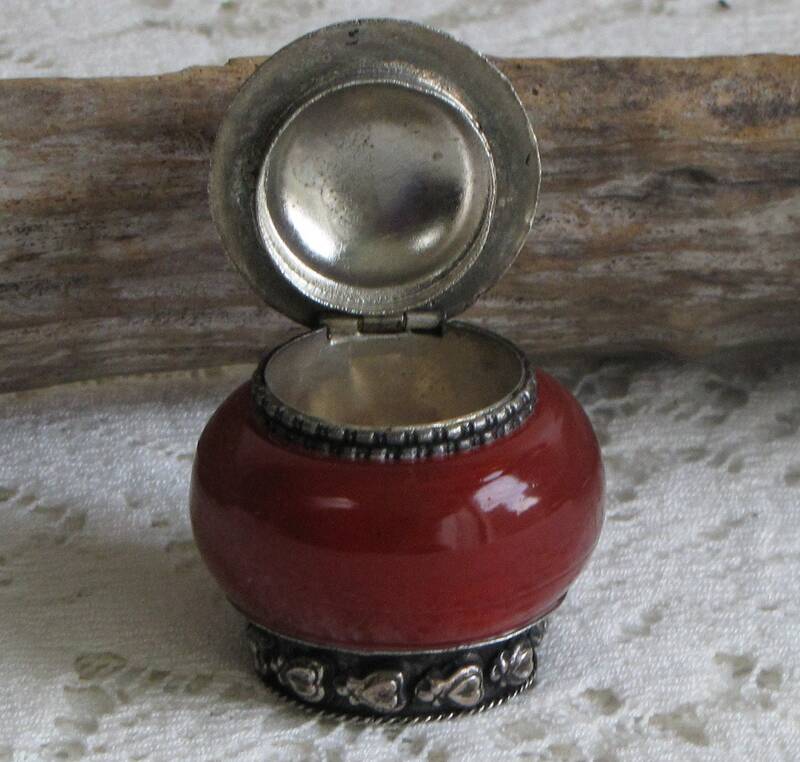 It is small and measures 2 inches tall and 1.5 inches in diameter (at the mid-glass area).